Sir Frederic Calland Williams was once described as a typical example of the British "string and sealing-wax" inventor. For his work as an electrical engineer and electronics innovator, he was knighted in 1976. In 1946, he became chair of Electrotechnics at Manchester University. There, with Tom Kilburn, he experimented on cathode-ray tubes as an information storage device, the first form of random access memory, the Williams tube. They utilized the persistance of an images of dots on the tube's phosphor screen to store data. With Newman, they incorporated the tube as the memory in a groundbreaking prototype computer - the "Manchester Baby." The world's first stored-program electronic digital computer program ran on 21 June 1947. An improved version - the Mark I - led to the world's first commercially produced computer in February 1951, made by Ferranti Limited. The tube continued to be used in computers of the early 1950's. First widely known as the Williams tube, it is now more correctly attributed as the Williams-Kilburn tube. 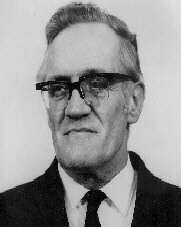 In the 1950's, he left further computer development in the hands of Kilburn and focussed on other electrical engineering projects such as variable-speed induction motors and induction-excited alternators. The Manchester Baby, an article in a series about "Inventors of The Modern Computer" at About.com. An extensive Williams biography at the University of Manchester. A photo of the Williams-Kilburn Tube at the Computer Museum.